This weeks Photo Wednesday was taken in Cheongna Park close to the Canal. 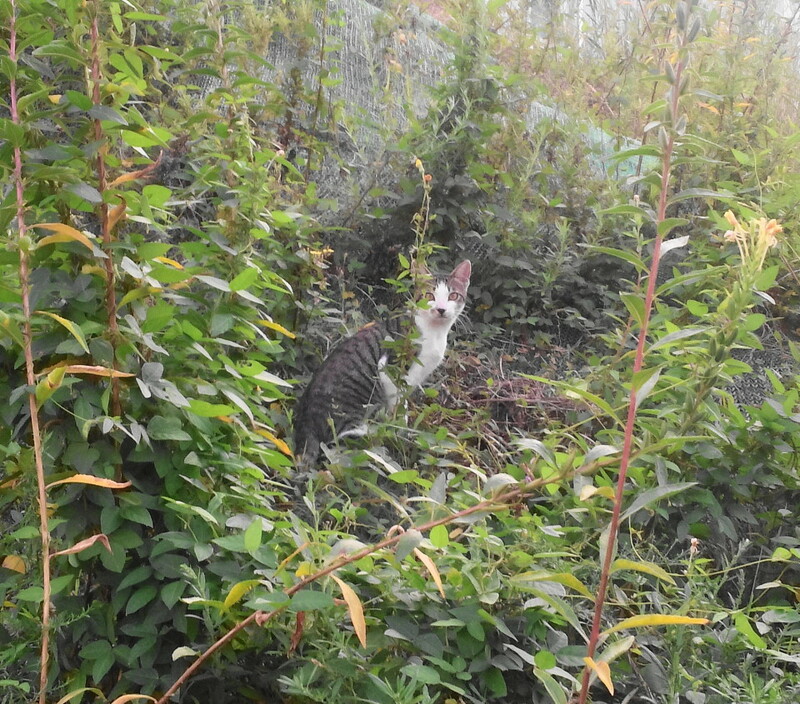 The photo is of a cat in the park sat on a hill and watching us. Cats are growing in popularity here in South Korea and often here keep on building sites both as pets and to work catching mice/rats. Last weeks Photo Wednesday “Ferry to Muuido Island, Incheon” Please Click Here. Next Next post: Fried Chicken from Homeplus? You don’t seem them too often!